Huliska-Beith s smiling, rubber-limbed figures dance through vertiginously tilted, brightly colored minimalist settings As a presentation of Lear s better-known poems, this makes a thoughtand laughprovoking bridge. 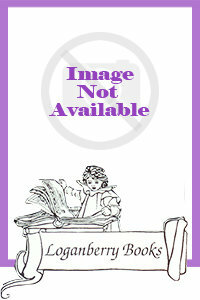 Booklist "
Maidens, monks, and millers' sons -- in these pages, readers will meet them all. There's Hugo, the lord's nephew, forced to prove his manhood by hunting a wild boar; sharp-tongued Nelly, who supports her family by selling live eels; and the peasant's daughter, Mogg, who gets a clever lesson in how to save a cow from a greedy landlord. There's also mud-slinging Barbary (and her noble victim); Jack, the compassionate half-wit; Alice, the singing shepherdess; and many more. With a deep appreciation for the period and a grand affection for both characters and audience, Laura Amy Schlitz creates twenty-two riveting portraits and linguistic gems equally suited to silent reading or performance. 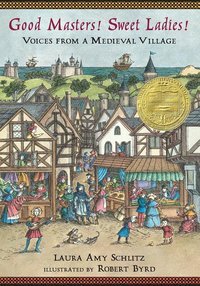 Illustrated with pen-and-ink drawings by Robert Byrd -- inspired by the Munich-Nuremberg manuscript, an illuminated poem from thirteenth-century Germany -- this witty, historically accurate, and utterly human collection forms an exquisite bridge to the people and places of medieval England. 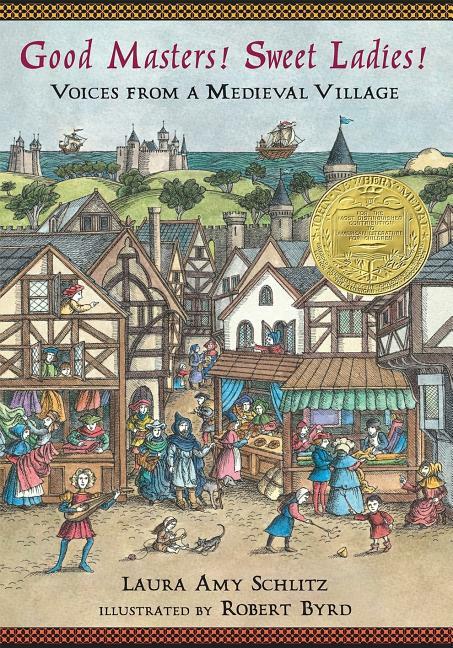 Children instinctively love poetry, with its appealing mixture of rhythm and rhyme. 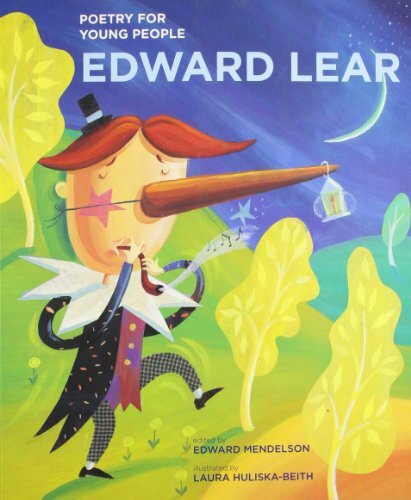 And Henry Wadsworth Longfellow, with his suspenseful narrative verse, deceptively simple structure, and powerful images of 19th-century United States, makes an especially suitable subject for the critically acclaimed Poetry for Young People series. Brilliant, specially commissioned artwork brings to life all the atmosphere, drama, and emotion of his writing including: the vital energy of "The Village Blacksmith," the urgency of "Paul Revere's Ride," and the sorrow of "The Wreck of the Hesperus." This handsome volume of Longfellow poems is now available in paperback - at a great price and with a bold new cover design - to bring the love of classic poetry to a broad new audience. 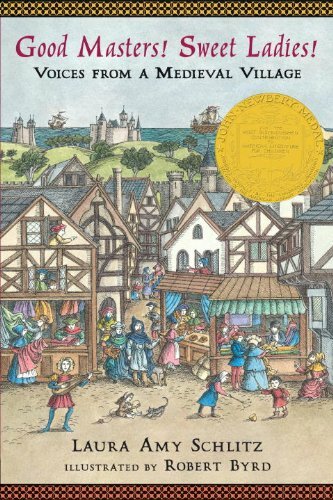 Compiled by the award-winning poet and author of children's books, Donald Hall, this delightful anthology follows in the tradition of Iona and Peter Opie's classic Oxford Book of Children's Verse. Hall brings together poems written specifically for children and also those written for anyone and enjoyed by children and adults alike. He presents over two hundred fifty poems written by over one hundred different American poets--including anonymous works, ballads, and recitation pieces--that range from the Calvinist verses of the seventeenth century to the fabulous nonsense poems of the present. Drawing on literally thousands of sources--including Sunday School magazines, Christmas annuals for children, and such wonderful children's periodicals as St. Nicholas and Youth's Companion--Hall gives the modern reader a rich sampling of many poems never before anthologized. He includes everyone's favorites, from Clement Clarke Moore's "A Visit from St. Nicholas" (a.k.a. "The Night Before Christmas") to the classic lines of Longfellow and Whittier. Along with Sarah Josepha Hale's famous poem, "Mary's Lamb," we find poetry by Emily Dickinson, Mary Mapes Dodge, Palmer Cox, Sarah Orne Jewett, Laura E. Richards, and Gelett Burgess. He also covers the twentieth-century with verse by T.S. Eliot, Edna St. Vincent Millay, Langston Hughes, Ogden Nash, Dr. Seuss (Theodore Geisel), and Randall Jarrell, just to name a few. Hall concludes with the poetry of present-day writers such as Shel Silverstein and Nancy Willard. A testament to a captivating tradition in American literature, this anthology will encourage many hours of nostalgic browsing and reading aloud to children.